Even after 36 hours of Titli hitting Odisha coast, Gajapati district is cut off from the rest of the world as approach roads to the district headquarters town are yet to be cleared. PARLAKHEMUNDI : Low-lying areas and villages located in the downstream of Mahendratanaya have been marooned by swelling waters of the river in Gajapati. Even after 36 hours of Titli hitting Odisha coast, Gajapati district is cut off from the rest of the world as approach roads to the district headquarters town are yet to be cleared. The roads have been blocked by trees that were uprooted in the strong winds. A bridge on the road between Rayagada block and the district headquarters town has been damaged, blocking vehicular communication to four blocks of the district. The power supply in the entire district has not been restored. Southco sources said it would take them another 48 hours to restore electricity in Parlakhemundi. Gandhi Nagar, Subhadra Vihar and Shridhar Nagar under Parlakhemundi Municipality are under four to six feet of flood water. ODRAF personnel had to use boats to rescue people and shift them to safer places. Collector Anupam Saha said the flood claimed three lives - two from Labanyagada of Gosani block and one from Didinguda village under Alada panchayat of Kasinagar block. The two persons, Kousalya Sethi and Satyasundar Mohapatra, were sleeping in granite factory when a wall collapsed on them. 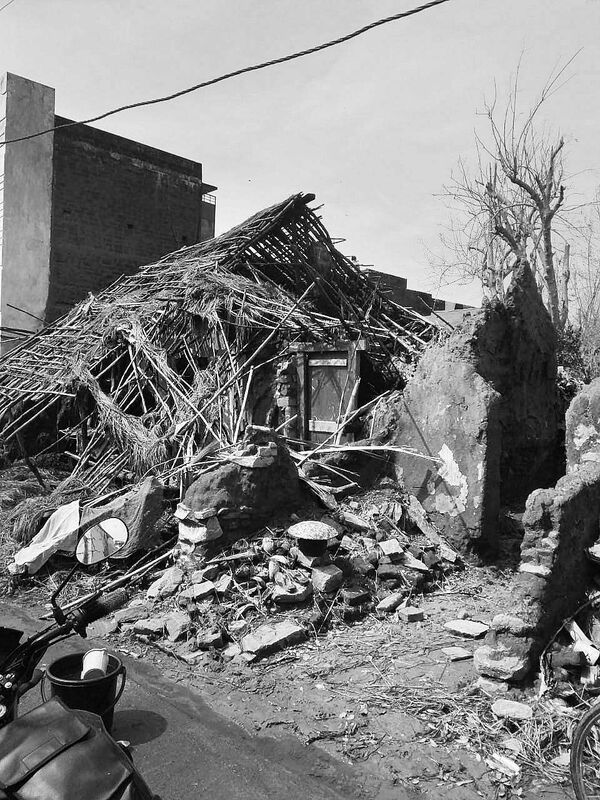 A minor girl, Ritu Sabar of Didinguda village, was asleep in her house when a wall caved in killing her on the spot. 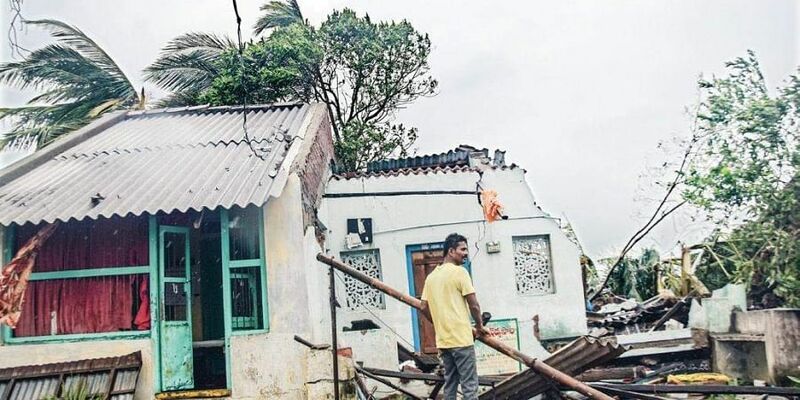 Almost all the Government offices in the district have suffered severe damage in the cyclone. Rice mills and cashew processing units have also been damaged in Kashinagar and Gosani blocks. The bridge between Gumma block and district headquarters town has been damaged due to the landslide near Namasteghat. Vegetable crops have been inundated.